The perfect dress may not always be the perfect size. 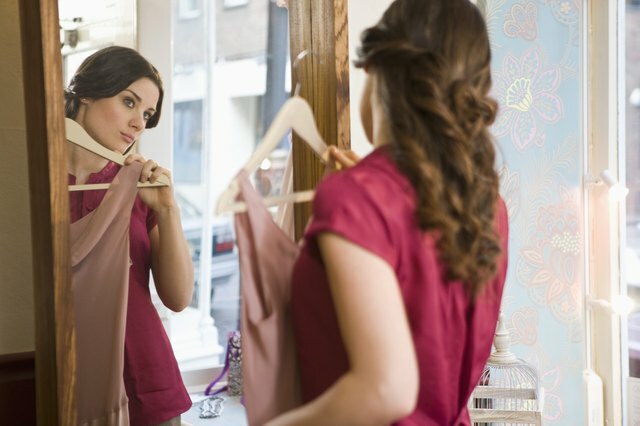 Whether the dress is originally a bit big or you lost weight, you may need to alter your dress to fit better. 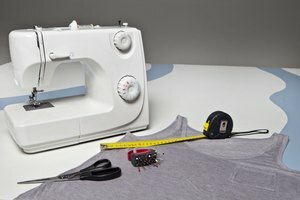 You can pin a dress to fit tighter, quickly and inexpensively, without sewing or tailoring experience, right at home. Measure how much you want to take your dress in, moving the seam inward so that the dress fits tighter. Measure around your waist and hips and then measure the front and back of the dress at the waist and hips. Subtract the difference of these measurements to find out how much the dress needs to be taken in. Use chalk or a fabric pencil to mark the spots where you'll be pinning the dress with safety pins. You'll need to measure a quarter of the amount you need to take in. For example, if you need to take in 1 inch, then mark 1/4 inch from the stitching on each side of the dress. Alternately, put the dress on and gather any excess material. Mark the gathered areas with straight pins and then take the dress off. It's less exact, but an easier method. Lay the dress flat on a table or flat surface. Pin through all of the bottom layer with your safety pin into the underside of the top layer and then back through the bottom layer. Fasten the pin. Make sure that the pin lies flat and isn't visible when the dress is put on. Pinning a dress is not an exact science. You may have to pin your dress a couple of times, adjusting the amount of fabric held in the pin, so that the pin lies flat and isn't visible when the dress is worn. If the safety pin is visible no matter how many times you try to pin, you can always cover it using a cardigan or shawl. Safety pins are not a permanent way to tighten your dress as they can pop open occasionally. For a truly permanent solution, you should consider sewing your dress tighter. Additionally, if your dress must be taken in several inches, there is too much material to fit inside a safety pin, and the dress should be taken in by sewing. Sasha Kash is a fashion and lifestyle journalist.